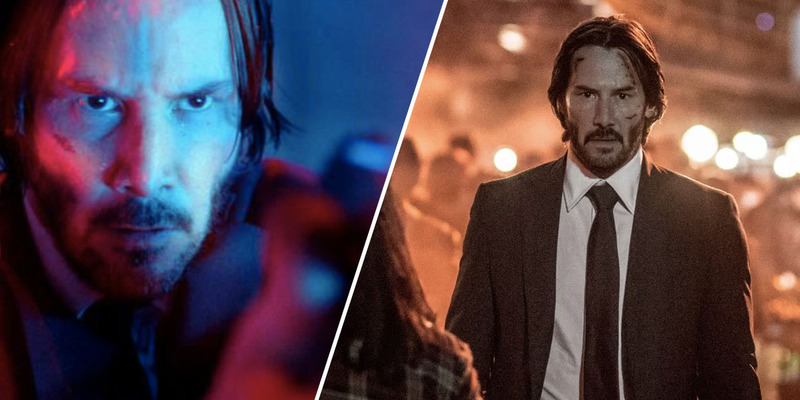 John Wick 3: Parabellum promises to be the most violent entry in the series yet with the ‘highest death count’ of any of the films. Or at least that’s what Chad Stahelski, the trilogy’s director, told Entertainment Weekly earlier this week. Stahelski said he thinks the death count of Chapter Three will ‘land slightly north’ of the previous films’ kills which suggests they’re upping the ante once again. For the record, John killed 128 people in Chapter 2 and 84 in the first movie, so we can only imagine how many people are going to pop their clogs in the latest edition. I must say though if they don’t have John kill someone with a pencil again is there any point even making the film? The answer is no. According to the official synopsis Chapter Three (or John Wick 3: Parabellum, I’ll be honest no one seems to know the ‘real’ title) will pick up where the second movie left off. John, the world’s deadliest assassin, will be on the run following a small incident where he accidentally executed a member of the High Table on Continental grounds. This earned John a $14 million global contract on his life as well as a ban from using any of his underworld connections. How will John survive? Well, that’s obvious, he’s John Wick and he’ll have a bit of help from Halle Berry. Berry’s playing Sofia, an assassin who’ll help John bring down the High Table once and for all. According to Keanu Reeves, Sofia has a past with John and he’s forced to go to her to see if she can help him with his mission. She also has two Belgian Malinois dogs because it’s John Wick and everyone has to have a dog. Speaking to Entertainment Weekly director Chad Stahelski opened up about what the dogs represent. Whereas John’s puppy was symbolic of his wife, Halle’s two dogs are symbolic of someone she’s lost. Stahelski also promised that the dogs would feature in the action scenes saying ‘[the dogs] work very well tactically.’ Here’s hoping they avenge that little puppy who died in the first film #never4get. Wick fans will be delighted to hear that Ian McShane, Laurence Fishburne, Lance Reddick and Ruby Rose are all set to reprise their roles from the last films as well. One person who won’t be returning though is Common who confirmed that his character, Cassian, won’t be in the film despite Chapter Two setting up the idea of a feud between Wick and the bodyguard. Earlier this year Keanu Reeves took the time to explain the film’s working title/maybe official title, ‘Parabellum’, saying it means ‘prepare for war’. We can only imagine how much trouble John’s going to get in. Stahelski has also hinted this might not be John’s final adventure admitting that he would happily make a fourth if the audience enjoys Chapter Three.